There were a few months that I paid for the Uppercase subscription box. I really enjoyed the box and the additional items that came with it. However, because I had so many other things to read at the time, it would take me years to get to the books I got through the service. I cancelled it, but consider going back every-so-often. This is one of the books that came through the subscription and I finally got around to reading it. After her last living family member is murdered, Britta is forced to make her own way in the world. Using the hunting skills she learned from her father, she attempts to stay alive. 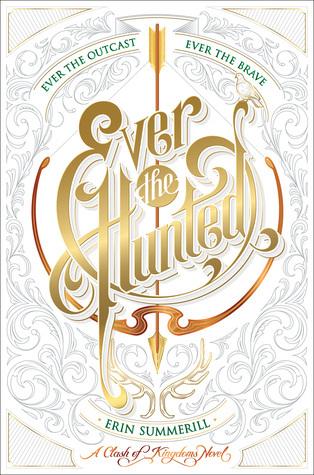 When captured by the royal guard for poaching on their land, Britta is given the choice between execution or helping to find her father’s killer. The prime suspect in this case is Britta’s old family friend and crush, Cohen, who hasn’t spoken to her since she confessed her feelings for him. With no other choice, Britta is going to have to move past her embarrassment and find the guy. She will need to use her uncanny empathic power to find the liars and seek out her man. Quickly she notices as she crosses into other places that her powers get stronger and more people have their own magical abilities. I enjoyed this book, even though the plot was fairly predictable. I found that it did take me some time to get invested in the story, which made it move slowly in the beginning. However, I found the magical element to be interesting enough to keep me entertained. I won’t be reading the second book in the series, but I can see some readers wanting to continue.